Sarah Sajedi, ERA’s CEO and director of Research, has been recognized this year as a prominent chemist and in the latest chemistry/science curriculum for the province of Ontario. Sarah is being highlighted in the most recent edition of McGraw-Hill Ryerson’s Chemistry 12 College Preparation textbook. Sarah has transformed her expertise in chemistry into her successful business, ERA Environmental Management Solutions, helping manufacturers across North America track and report their environmental emissions and improve EHS performance. The textbook and improved curriculum aims to encourage young people, especially women to pursue their goals in the sciences and highlight how women in the field are making an impact that improves the world around them. Because Sarah is such a passionate advocate for access to education and women in the sciences, she is especially proud to be part of science education in Canada. "Sarah Sajedi is a Canadian woman who has used her background in chemistry to not only raise awareness about air and water quality issues, but to become involved in humanitarian efforts as well. Sajedi has a degree in chemistry/biochemistry from Concordia University and is the Chief Technical Officer and Chief Executive Officer of ERA Environmental Management Solutions. One of the products created by ERA Environmental Management Solutions is a computer program that allows companies to track the pollutants they are releasing into the atmosphere. “We know how to quantify those emissions, and we built the software around this that helps [companies] to track it… By knowing how much you pollute, you then can work toward better reduction and recycling, and things that would make your company more sustainable,” says Sajedi about the benefits of using the software. Clients of ERA Environmental Management Solutions include chemical companies, companies in the wood industry, and car manufacturing companies. Sajedi’s background in chemistry has allowed her to work in many areas of environmental sustainability, by identifying, reducing, and preventing pollutants from reaching both air and water. She has used her success as a prominent businesswoman as a passport to support education and humanitarian efforts as well. Sajedi sponsors scholarships for higher education and works with Angels of Mercy to provide food and clothing to homeless people in Montréal. She also works with Helping Hands, an organization that provides clothing and education to children in developing countries. In 2013, Sajedi won the Sara Kirke Award for Canadian Entrepreneurship and Innovation from the Canadian Advanced Technology Alliance. She was recognized as a role model for women entrepreneurs. 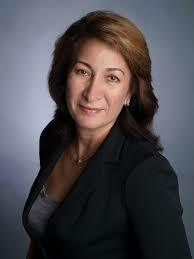 In 2012, she was an RBC Canadian Women Entrepreneur Awards finalist in the sustainability category. “There’s no ‘No’ in my vocabulary. If it is a good idea, you work at it hard, and you figure out a way to get it done,” says Sajedi about building a business."